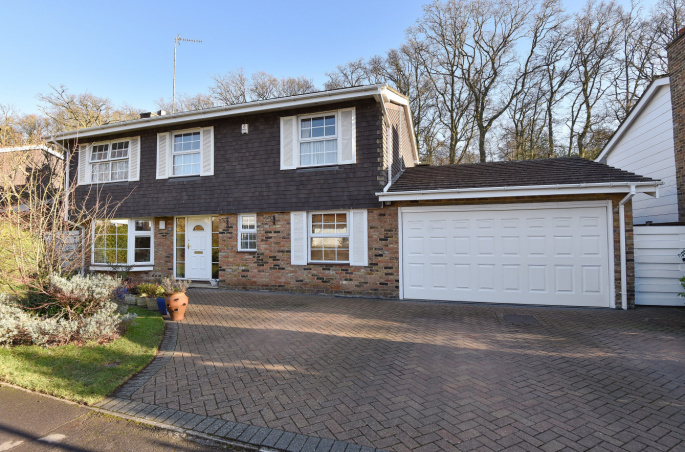 A superb family home which has benefited from a number of significant enhancements. 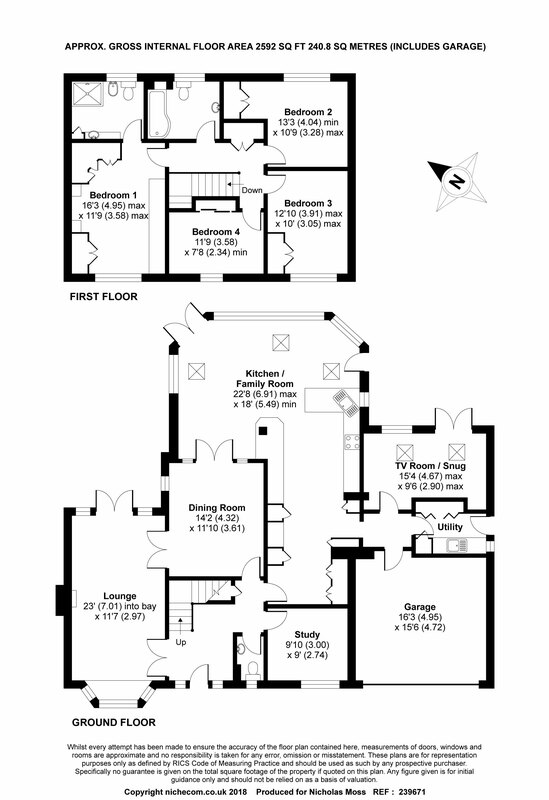 It provides a very spacious and practical layout with its five reception rooms being of particular note. 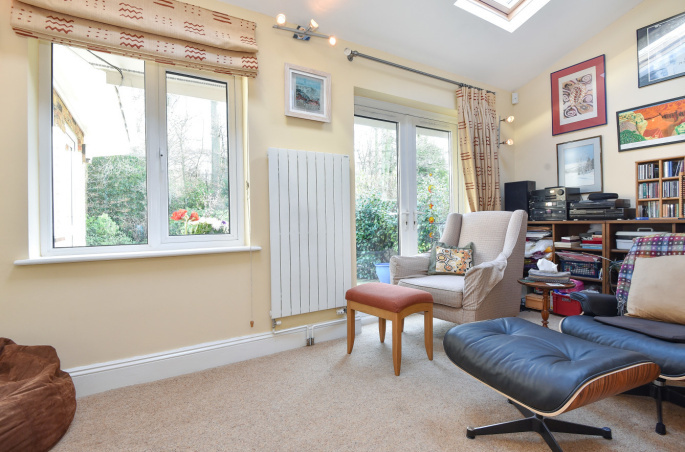 It enjoy a quiet location backing onto woods and countryside. 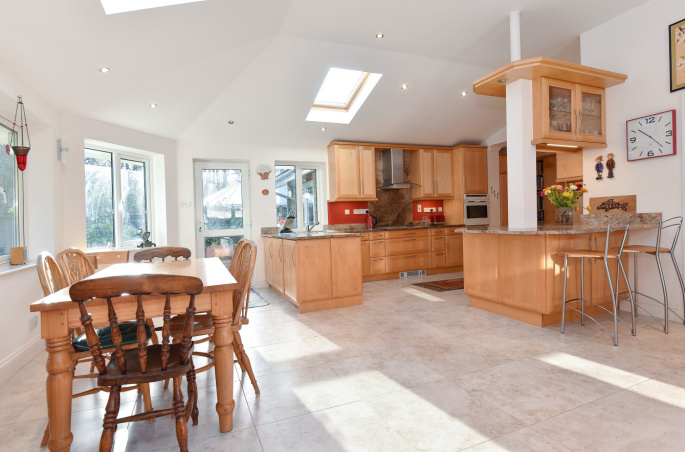 This superb family home has benefited from a number of significant enhancements. 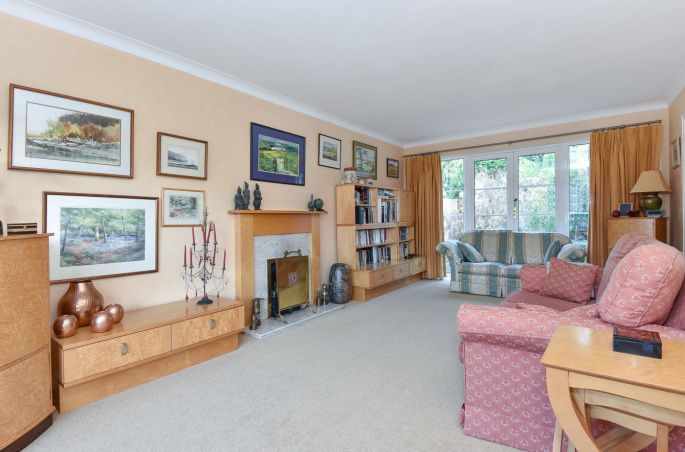 It provides a very spacious and practical layout with its five reception rooms being of particular note. Other benefits include the replacement windows, exterior doors and gas central heating system and radiators. 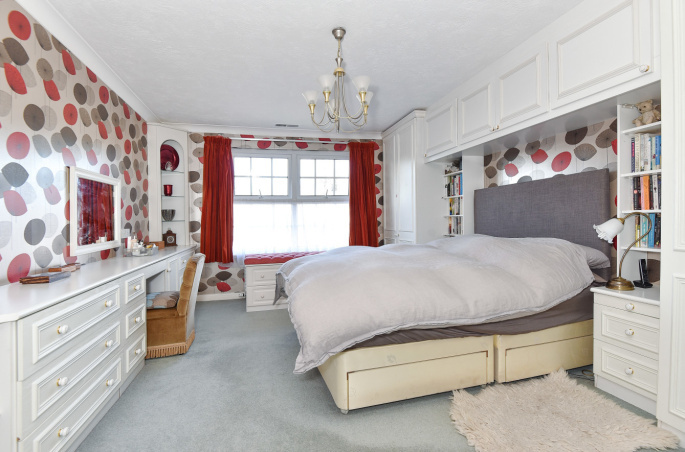 The house is situated within a quiet cul-de-sac which is within approximately 0.85 mile level walk of Beaconsfield's town centre. As an additional bonus there is gated access from the rear of the garden to the woods behind which links to a network of footpaths and country walks. The house itself is approached via a brick paved driveway which leads to the double garage. There is a bright entrance hall where the stairs with new oak balustrades lead to the first floor. There is a double aspect lounge, study, dining room and a superb kitchen/family room as well as a separate TV room/snug and a utility room. The kitchen/family room forms the hub of the house and measures 22'5 x 17'5 (maximum). 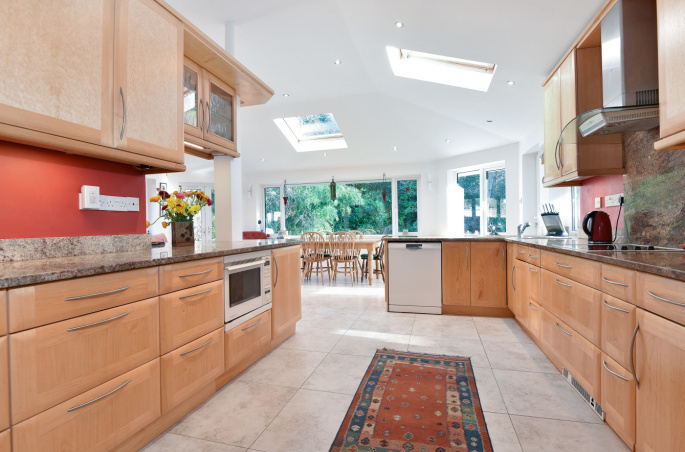 It is currently used for cooking, dining and relaxation and is an extremely spacious, bright and adaptable area of the house. The kitchen itself has a generous range of burr maplewood cupboards and drawers complete with granite work surfaces and splash backs. The room itself has double glazed windows and doors looking out onto the garden and Velux windows which enhance the space. There is a heated and tiled floor and then double doors provide http://nicholas-moss.homeflow.co.uk/images/textile-editor/outdent.pngaccess to a formal dining room. 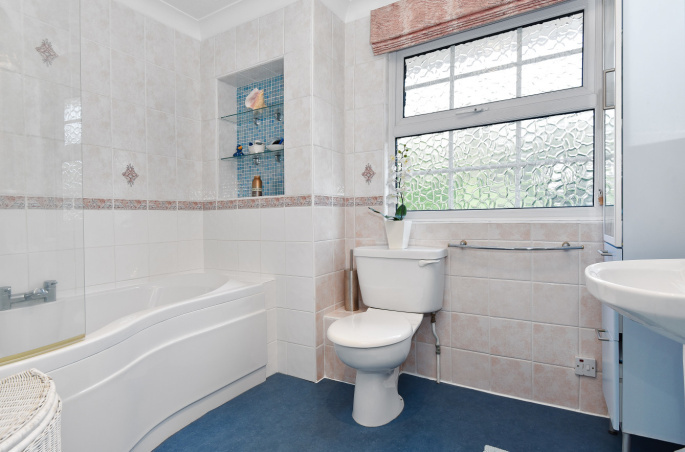 On the first floor there are four double bedrooms and two smart bath/shower rooms. The bedrooms are all doubles and each has wardrobes. 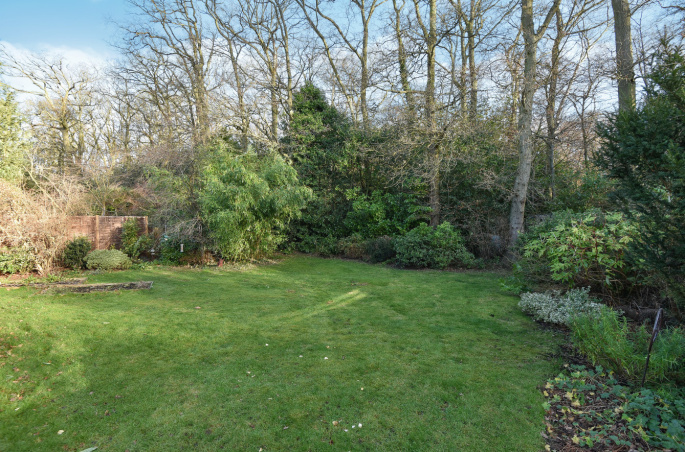 Outside the level and private rear garden measures approximately 75' x 65' and is well enclosed by panel fencing and has a wooden pedestrian gate to Brown's Wood and a network of footpaths. Beaconsfield itself has a mainline railway station, a choice of state and private schools and a broad selection of shops, coffee shops and restaurants. The historic Old Town is lovely and has a wider and eclectic selection of shops, pubs and restaurants. The house and the area are likely to suit a wide variety of tastes and needs and come highly recommended. "It is refreshing to see an Agent working for the owner and not the Buyer."